Despite career averages of just 6.6PPG and 6.4RPG, Jerome Willams‘ work ethic made him a much bigger name than a role player picked 26th in 1996 should’ve been. He got himself a sneaker deal with Reebok, starred in Sprite commercials and got standing ovations at the Air Canada Center even when returning in Bulls and Knicks uniforms. 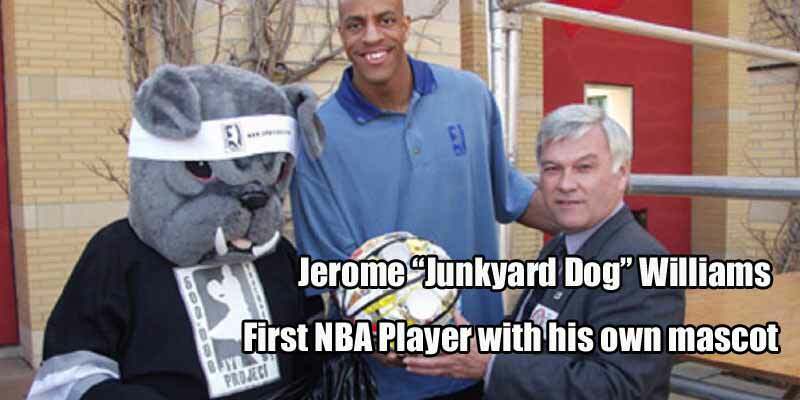 His relentless efforts got him nicknamed Junkyard Dog, which carried itself over the personal mascot he used when appearing at schools and hospitals for community work.